DETROIT -- Delphi Automotive Plc has won an appeal with the U.S. Internal Revenue Service and can be considered a British company, the supplier said in a filing with U.S. securities regulators Wednesday. The IRS concluded last Friday that Delphi would not have to make adjustments for the 2009 and 2010 tax years, the filing said. 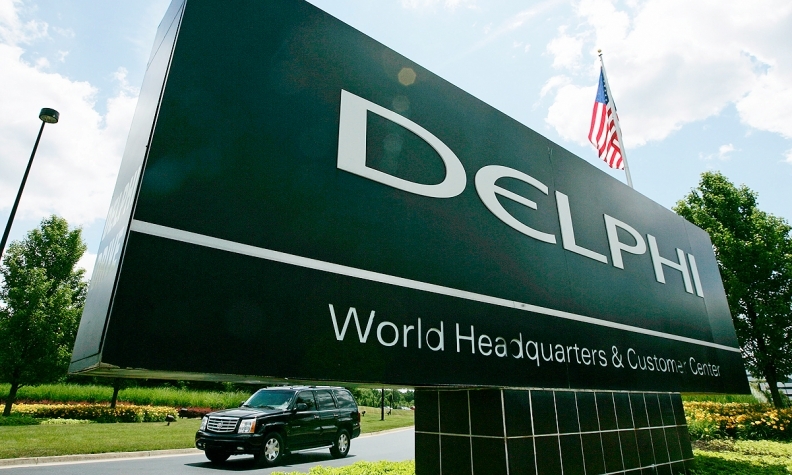 "Delphi Automotive was established as a new limited liability partnership in 2009 by a group of investors to acquire some of the assets of the former Delphi Corporation," the company said in a statement. "As such, the company should not be treated as a U.S. company for U.S. federal income tax purposes, which is what the appeals process affirmed." Delphi also announced a new $1.5 billion share repurchase and said it would increase dividends by 16 percent in 2016. The new repurchase program will start once the current one is completed. The company has a market capitalization of about $20 billion. Delphi shares surged 5.6 percent to close the day at $76.42. Delphi, based in Gillingham, England, is one of the major suppliers of automotive technology and devices allowing development of self-driving vehicles.